Finding hidden treasure has never been so stylish! 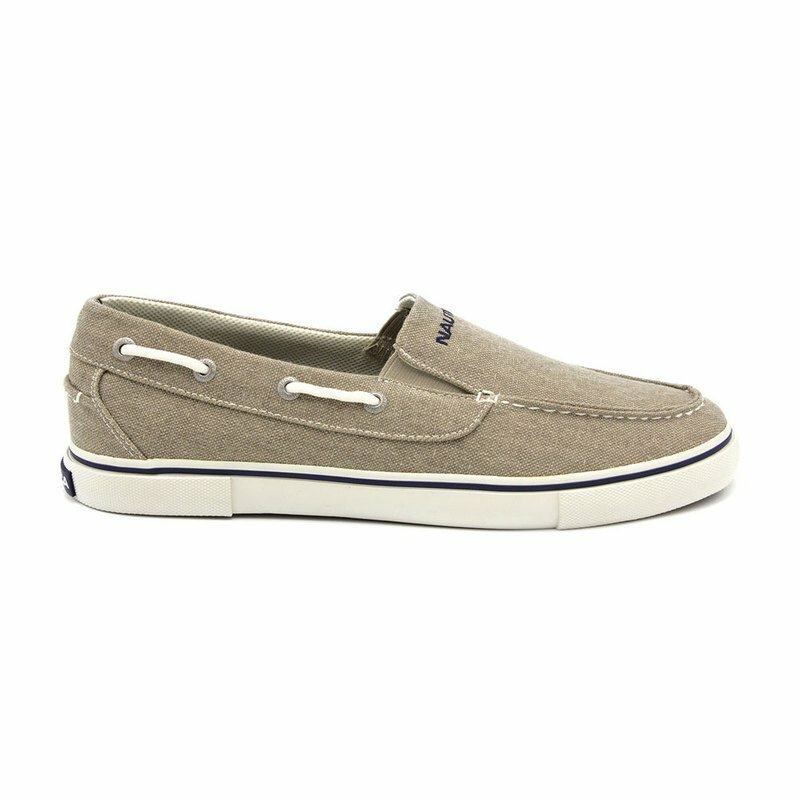 The Nautica Doubloon canvas boat shoe features a stitched moc toe, topline lacing with metal eyelets, and dual elastic panels for easy slip-on wear. With a cushioned footbed and flexible outsole, these comfy shoes will have you sailing through your day with a smile!